The key to successfully planting a pawnee pecan tree is site selection. Like all pecan tree, pawnee pecan’s require a considerable amount of water to produce their delicious nuts. Often, this is more water than simple irrigation can adequately provide at a reasonable cost. 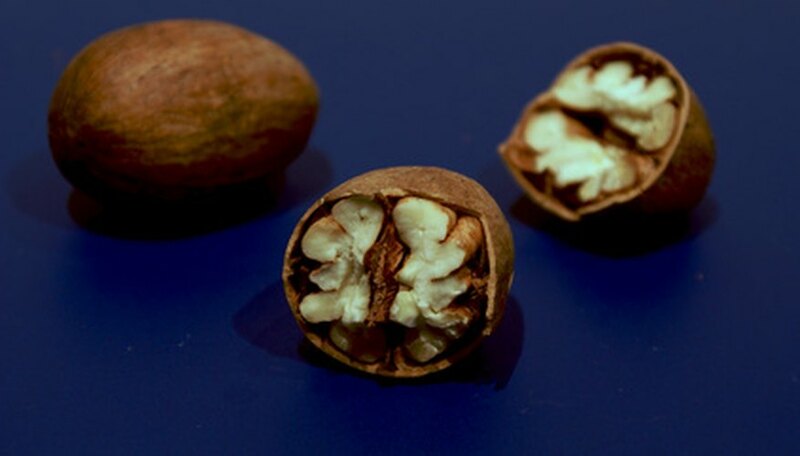 Therefore, pawnee pecans should be planted in well-drained soil above a stable water table that is lo more than 10 feet below the surface of the soil. This will significantly reduce the amount of irrigation that your pawnee pecan tree requires. Dig a hole that is twice as wide and twice as deep as the container that your pawnee pecan tree is currently growing in. Bare root trees will need holes that are twice as wide as their root balls, but at least 3 feet deep or as long as their tap root. Fill the hole with water and allow it to drain. This will ensure that your next watering will stay around the roots of your pawnee pecan instead of being drawn into the surrounding soil. But this is also a useful soil-drainage test. If the water does not drain from the hole in 2 to 4 hours, the soil has poor drainage. In that case, you should choose another, better draining site for your pecan tree. Mix half of the excavated soil with an equal amount of aged compost. This soil mixture is what you will use to re-fill the hole. Remove the pawnee pecan sapling from its current container. Inspect its roots. Use a pair of sharp, clean pruning shears to trim away any roots that are dead or broken. If your pawnee pecan roots were bagged in burlap, you may have to trim the tap root to fit it in the hole comfortably. But do not trim more than 1/3 of the tap root. Finally, loosen potted roots by gently pulling them away from the root ball with your hands. Plant the pawnee pecan tree with the help of a friend or neighbor. This is especially important if the tap root is quite long. Have one person hold the pawnee sapling over the hole so that its graft faces south and it sits 2 to 3 inches higher than it sat in its previous container (or so that the top of its root crown is flush with the surrounding soil). Then have the other person fill the hole with soil. Once the root ball is half covered with soil, water the soil to settle it. Then continue filling the hole. No more than 1 inch of soil should cover the root ball and the graft should not be covered with soil at all. Tamp the soil down with your hands or feet once the hole is filled to remove any air pockets. Water the tree. Lay a slow-running hose at the base of the tree to moisten the soil to the depth of the planting area. Keep the soil moist to this depth until the pawnee pecan tree establishes itself and produces new growth. Spread a 4-inch layer of organic mulch around the planting area, but at least 8 inches away from the base of the tree. This will help the pawnee pecan retain moisture and prevent weed and grass growth over the planting area. Paint the trunk of your pawnee sapling with white latex paint. This simple measure will protect the tree from cold and herbicide damage and predation for the crucial first few years of its life. While your pawnee pecan tree is waiting to be planted, keep it out of direct sunlight and well watered. Straighten container-grown taproots that have become twisted before planting. If you have trimmed a considerable amount of your pawnee pecan tree's roots, trim away the same percentage of branch length from the top and sides of the tree to compensate for the root loss.